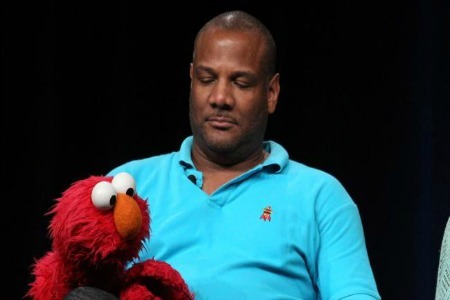 Kevin Clash, the puppeteer behind the beloved Sesame Street character Elmo, is making headlines today because of startling allegations that he once had a sexual relationship with a 16-year-old boy. While Clash admits the relationship took place, he insists that it was when the unidentified male was of legal age. Sesame Workshop has stood by Clash, who is currently on a leave of absence from the show. “We took the allegation very seriously and took immediate action. We met with the accuser twice and had repeated communications with him. We met with Kevin, who denied the accusation. We also conducted a thorough investigation and found the allegation of underage conduct to be unsubstantiated,” reps for Sesame Workship said in a statement. In statement made directly to NBC News, Clash confirmed that he is homosexual but denied any allegations of an inappropriate relationship. “I am a gay man. I have never been ashamed of this or tried to hide it, but felt it was a personal and private matter. I had a relationship with the accuser. It was between two consenting adults and I am deeply saddened that he is trying to characterize it as something other than what it was. I am taking a break from Sesame Workshop to deal with this false and defamatory allegation,” said Clash. Clash has been previously married to a woman and has a 20-year-old daughter, Shannon, from that relationship.